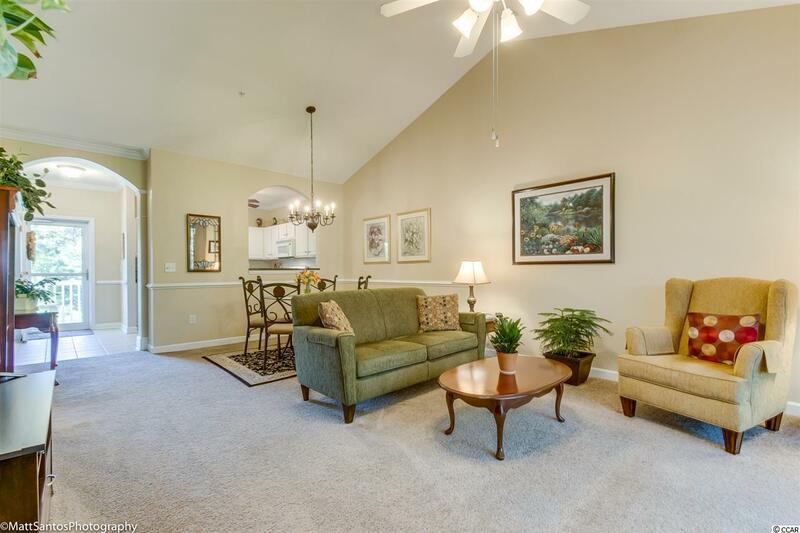 Walking in the front door of this most desirable third floor unit in Arbor Trace is like entering your own oasis. This unit has a screened porch overlooking the fourth green of the Norman Course and gives you the feeling of sitting in a tree house! This unit has had major updates since 2014. 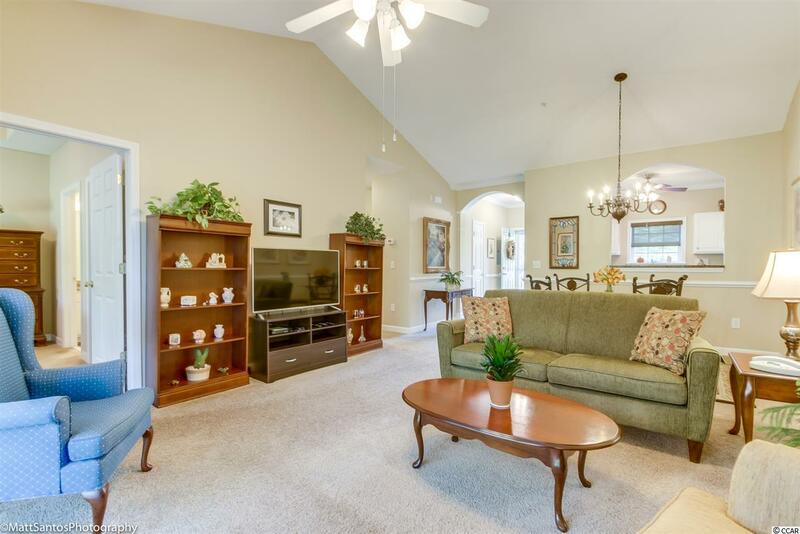 It is beautifully painted in neutral colors and has newer carpet. The tiled foyer offers crown and chair rail moldings and custom trim. To the left is your white cabinet kitchen with dark granite counters, new stainless sink and faucet, tiled floors and a ceiling fan. A pass thru to the dining area is great for entertaining. The living room dining combo has vaulted ceilings which give it a feeling of spaciousness. The triple panel slider leads to the private screened porch. The master bedroom features a tray ceiling with fan, two closets and an en suite bath with granite countertops, new sink and faucet. The guest bedroom has mirrored closet doors, and access to a hall bath also updated with granite, new sink and faucet. All the windows have custom roller shades and the slider has custom verticals. There is a washer and dryer closet and utility closet in the unit. The hot water heater, carpet, paint, fridge and washer and dryer are all new in 2014. The HVAC is also new and was upgraded to a 13 SEER 24,000 BTU unit. The bathrooms were updated in 2016. There is a storm/screen door at the entry. 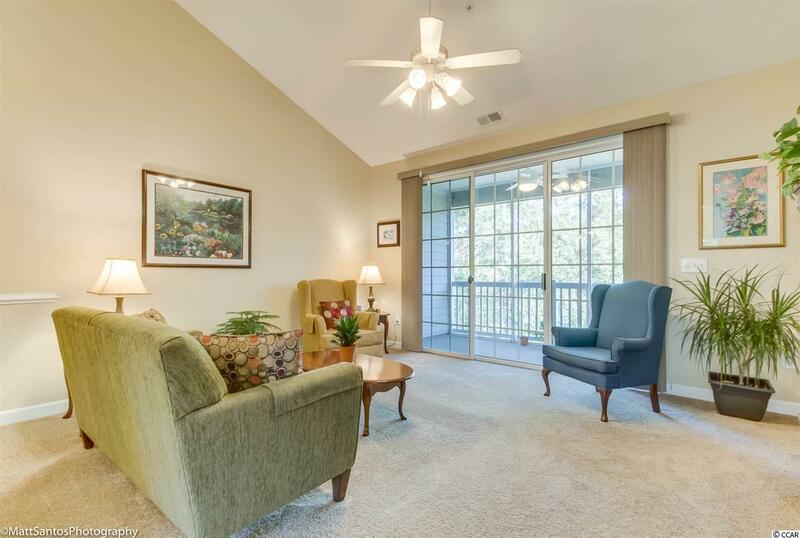 Parking is accessible directly in front of unit and the front balcony overlooks the picnic area, pond and pool. This unit comes furnished as seen in the photos and has never been rented. Barefoot has 4 championship golf courses, multimillion dollar clubhouse, and a salt water pool overlooking the intracoastal. 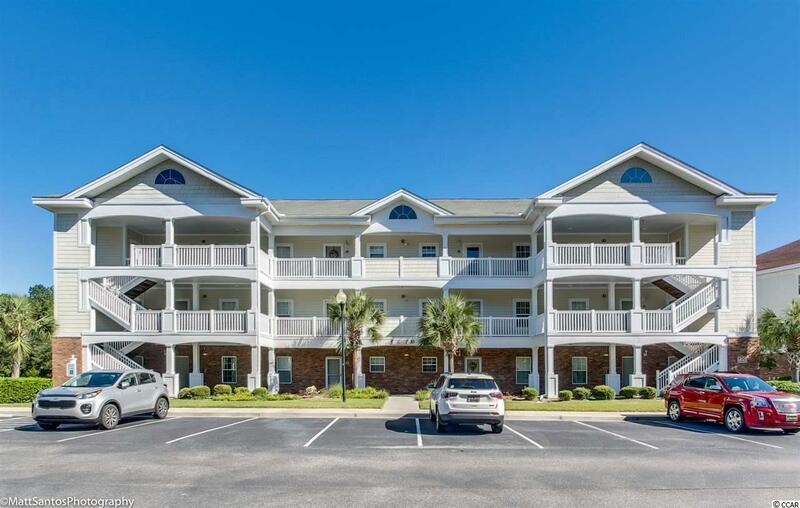 Barefoot is one of the most coveted neighborhoods in North Myrtle Beach. Close to the ocean, Barefoot offers a seasonal shuttle to the private Barefoot Oceanfront Beach Cabana. Barefoot is located close to many amenities such as Barefoot Landing, Alabama Theater, House of Blues, and many restaurants and great shopping. Come and enjoy the Barefoot lifestyle, youll be glad you did!